Daytona FL February 4, 2019; With the kickoff of the 2019 ARCA Racing Series presented by Menards season right around the corner, everyone is excited to make the trip to Daytona International Speedway for the Lucas Oil 200 driven by General Tire. It is the first opportunity to see the 2019 drivers and teams on track, and it's also an opportunity for fans to get up close and personal with the drivers, teams, and cars in the ARCA garage area on race day. The ARCA Racing Series will open its garage area to fans who have purchased a Fan Zone ticket. Those fans will have 90 minutes to walk through the garage, get autographs and selfies with the drivers, and get to see the racecars up close just before they are rolled to the grid for the start of the 56th annual Lucas Oil 200. Most, if not all, of the drivers entered will be at the back of their team transporters to sign autographs and take pictures with fans. Several teams are preparing special activities for fans in the ARCA Open Garage, including last year's runner-up finisher Willie Mullins. Known for the flock of ducks that live with him and his wife Dinah near their business and race shop, Mullins will be giving away 200 Mullins Racing rubber ducks and have other opportunities for young fans as well. "We'll be giving away 200 rubber ducks with our logo on it," Dinah Mullins said. "And we're going to have a couple of cardboard cutouts of Willie's uniform so kids can get their picture taken with it like they are a driver. We love this kind of fan interaction and we're really excited to get to Daytona and see everyone." Fans can visit the ARCA Open Garage from 12:30 through 2 pm ET on Saturday, February 9, just prior to the start of pre-race activities for the Lucas Oil 200 driven by General Tire. Fans who have purchased a a 3-Day General Admission ticket receive unlimited access to the UNOH FanZone; General Admission frontstretch tickets with FanZone access for Saturday only are $25. 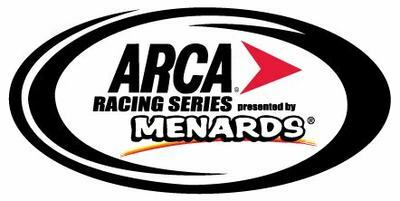 The season-opener for the ARCA Racing Series presented by Menards is scheduled for live broadcast on FS1 starting at 4:30 pm ET. ARCA for Me members can access free live timing & scoring, live chat, and live track updates throughout practice, qualifying, and the race. New members can register at ARCARacing.com/login.